Kids as young as three are able to complete simple tasks, also known as chores, around the house. This is a great way to help them learn responsibility at a young age. But they are kids, so they sometimes need a visible reminder so they know what they should do every day. This is where chore charts for kids can help. Do you struggle to get your kids to do their chores — or even to figure out WHAT they need to do? You are not alone. And then, when you do figure out what chores you want your kids to do, them doing them every day is another obstacle altogether. 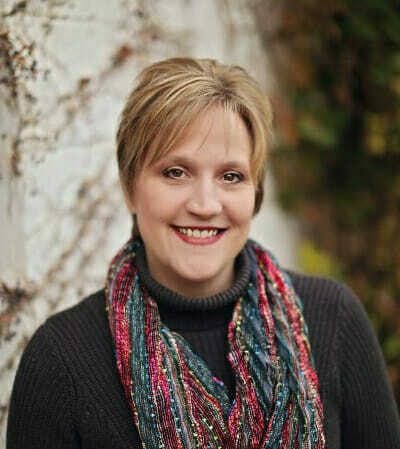 As Moms and Dads, part of what we need to teach our children is how to contribute to the running of our household, which in turn can help them to become contributing members of society. One way we do this is by assigning chores for our kids. They help the house run smoother and they actually get the opportunity to take ownership of a task. That alone can boost self-esteem and help them with their development. I know my kids get a lot of satisfaction when they complete a chore. When Should I Start My Child on an Allowance? There are several things that you need to keep in mind when creating and using a chore list with your kids. The following tips will help you achieve chore chart success with your own children. When it comes to determining the right chores for kids, you have to take their ages into consideration. Younger children can only do simple tasks, whereas older children can do more. Your child’s chores list should include only those that they are capable of doing. You will want to print this list of chores by age and keep it handy. It is a guide to help parents determine what children can do at every age. This way, you can find new ideas to add to your child’s chore list. This is a great way to help your children learn how to complete these tasks. However, remember that you can’t expect perfection. Just expect them to try their best. This chart is a great way for them to learn how to take care of themselves and their own home. You may also try a task listed and find that your child is not yet ready to try that. Just change what you do the following week. Conversely, you may feel your child can take care of the items listed in an age group which is older. That too is fine. This is a guide to help you find chore ideas that work for both you and your child. You know the chores your kids can handle, so have them help to create their own chore chart. Look at the list and have them decide which ones they will do this week. You will not want to allow them to select everything (they will pick the simplest ones). But, when he or she feels a part of the decision-making process, there is more motivation to complete them. It is important that your child can see the chore chart and keep track of what he or she has done for the week. This can be done on a whiteboard on your refrigerator or even a piece of paper tacked to a bulletin board. Remind your child to update their chore chart every day. I find that when my kids can physically check a box or a line to show they did something, they do much better at keeping track of what they have done and those items they have yet to complete. Below you will find two different printable chore chart templates. One is very basic and is great for younger children, while the other is more detailed and perfect for older children. 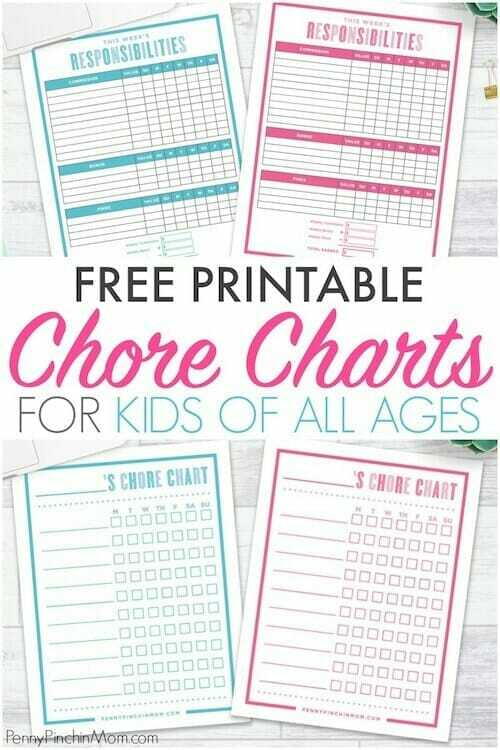 Whether you use one of these free printable chore chart template for kids you see below or another chore chart idea. No matter what style you use, just make sure your kids can easily see and follow it. If your children are a bit older, you can use the Responsibility Chart instead (also called the teen chore chart). This chart has spaces for regular chores (Commissions), additional tasks (Bonuses) and areas where they tend to get into trouble (fines). You tally up the income and take away the fines each week and they earn the difference. This chart is created to teach them, well, responsibility in the workplace. They learn that if they do not complete the work, they do not get paid. They also learn that if they do the wrong thing (like fight or disrespect Mom and Dad), they have a fine. We compare this to speeding or being reckless and causing damage to things. It works well for our kids and they sure hate it when we say the word “FINE”! If you want even more detailed information about how we use the Responsibility Chart in our home, you can read about that here — Teaching Our Children Financial Responsibility. Rewards will vary greatly from family to family. For some parents, the chores are required just as part of being a part of the family. They are expected to contribute and there is no reward attached to it. For others, it is simply financial. They pay per chore or per week as they are completed. The rewards may be incentive based such as sleepovers, extra time on the game system, etc. The beauty of any good system is that you can make it work for your family. You know your kids and your family structure, so you know what you expect and will give in return. A chore chart can serve as an incentive and reminder for your kids (and quite possibly, even for you)! If your child doesn’t do all of their chores, there must be a consequence. Of course, there will times when there circumstance outside of our control, which contribute to them not being completed. However, many times, they re not completed because your child simply forgot or decided not to do it. When this happens, you need to take away those rewards, such as a play date or the special treat he or she was to get the following day. When your child forgets, help them get their chores done, but don’t give them a free pass. They still have to learn there are consequences in life when we don’t do what we are supposed to do. Children are sponges and they watch everything you do. If you slack off and don’t do your daily chores, your children see this. Make sure you are responsible and doing what you need to every day. Your kids will be more motivated to do their daily chores when they see mom and dad doing the same. All work and no fun makes Jack a dull boy. You’ve heard that, right? There is so much truth here! Add fun to the chores such as making it a game to toss laundry into the laundry basket. In addition, allow time for the kids to have fun. After all, they are kids. Aim to strike a balance between the things they need to do and what lets them enjoy being a kid. It’s important that children have chores to do. But, you don’t want them to be overwhelmed. When this happens, it may be time to change the list or remove some of them completely. During the school year, there may be sports and homework every night. During this time, you may need to scale back on the number or types of chores he or she needs to do. Kids need reminders and supervision when doing their work. Even my older kids need me to remind them of what they need to do. Gently guide them to get their daily chores completed every day before bedtime. You can’t expect your children to know what to do right away. It will take time to teach them the right way to dust and to do the laundry. Keep your expectations low at first and raise them as your child learns how to do every chore on his or her chore chart. Chore charts should teach and not cause burden or stress to anyone in the family. When learning how to make a chore chart for your kids, keep all of these tips above in mind. Remember to be realistic in your ideas and goals for your children. As they grow, so will their abilities to complete certain tasks. We offer these only as a guide to help you determine what is the best fit for your family.